...the best way to buy unique ceramic pieces! 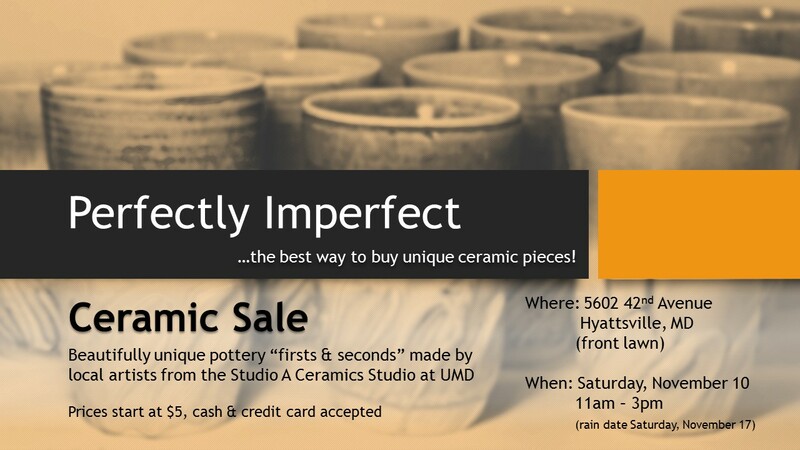 Purchase beautifully unique pottery "firsts & seconds" made by local artists from the Studio A Ceramics Studio at University of Maryland. Ideal holiday gifts, prices start at $5!